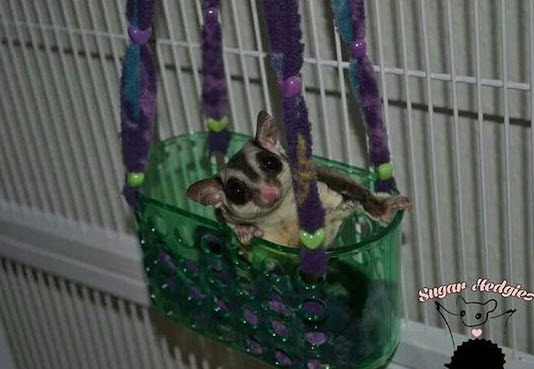 Turn a shower caddy into a swing for your sugar glider! Get a shower caddy that is a good size and shape for your pet. Cut four pieces of sturdy string or felt, and thread the strings through holes near each corner of the caddy. Thread pony beads onto each of the strings to hold them together and for your sugar glider to enjoy. Tie the ends of each string together, then hang all of the strings on a lanyard clip and attach the clip to the top of your pet’s cage.